Take home a T-shirt from The Beach Club Resort and Spa and have a reminder of your visit! 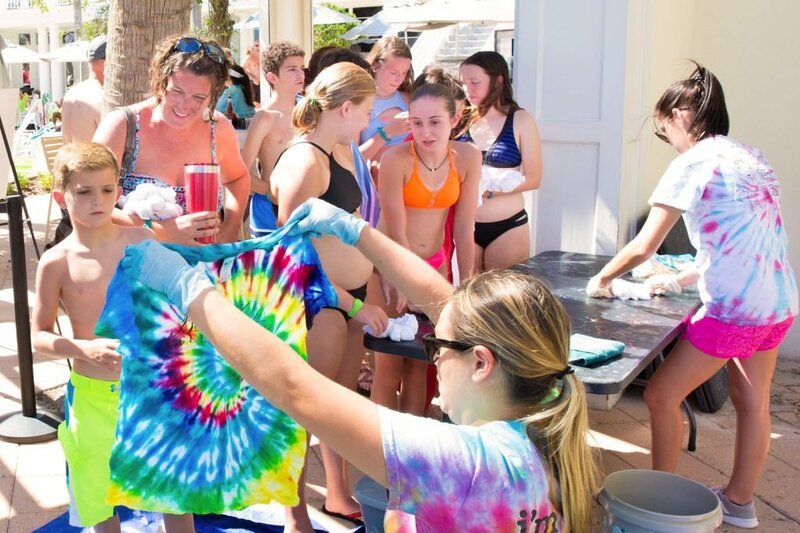 Watch us create a custom spiral tie-dye T-shirt just for you! This is a guest favorite Poolside Craft. Spectrum Resorts guests receive a special rate of $7 per T-shirt. Non-Spectrum guests pay $15.